Dr.Anita Newcomb McGee received her medical degree from Columbian College (now George Washington University) in 1892 and was one of a select few woman doctors practicing in Washington, D.C.
McGee, the daughter of noted astronomer Simon Newcomb, married geologist and anthropologist W.J. McGee in 1888. 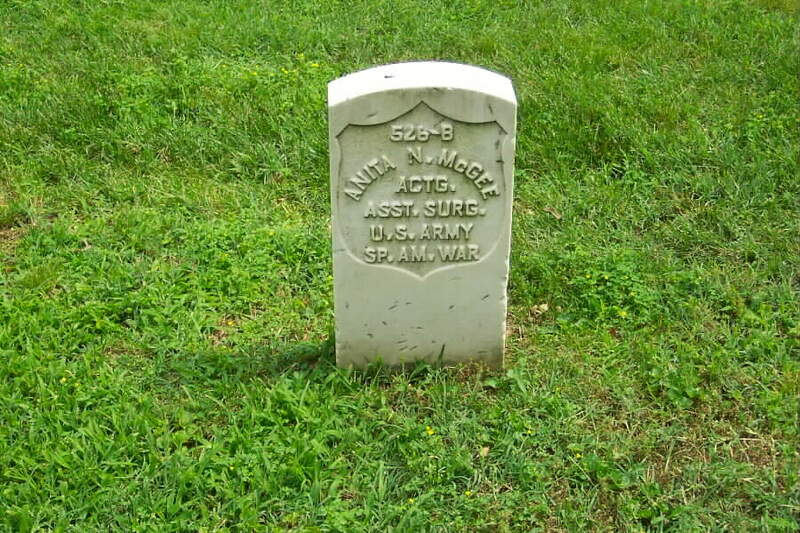 At the outbreak of the Spanish-American War in April 1898, McGee organized volunteer nurses for the Daughters of the American Revolution (DAR). 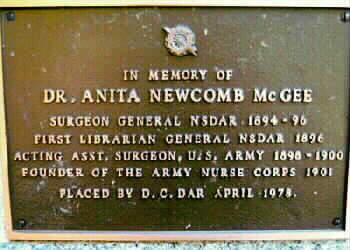 McGee's organizing ability led to her appointment as the only woman Acting Assistant Surgeon in the U.S. Army, in charge of the Army's nurses. After this brief war ended, McGee pursued the establishment of a permanent nurse corps. She wrote the section of the Army Reorganization Act legislation pertaining to nursing and is now known as the founder of the Army Nurse Corps. In 1900 she left her position with the Army, but continued leading the Society of Spanish-American War Nurses, a group she had founded in 1898. With the threat of war between Russia and Japan looming, McGee led a group of nine volunteer nurses to Japan in 1904. She returned the following year as an official US Army observer and later lectured and wrote on her experiences in the war. In 1936, McGee wrote to this museum, "I am trying to dispose of the gatherings of a lifetime and find it very difficult in these days when people live in small quarters and even fine family heirlooms, treasured for generations have to go begging." 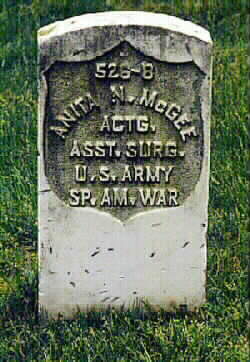 McGee died in 1940 and is buried in Arlington National Cemetery. The daughter of Rear Admiral Simon Newcomb, she was born in Washington, DC, on November 4, 1864. She was educated in private schools followed by special courses abroad. She received her M.D. degree from Columbian (now George Washington) University in 1892 and special post-graduate course in gynecology at Johns Hopkins. She married geologist W. J. McGee in 1888 (he died in September 1912). She was in private practice in Washington, DC, from 1892 to 1896. 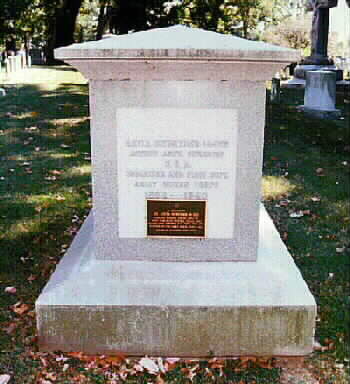 Then served as Director, Daughters' of the American Revolution (DAR) Hospital Corps, April-September 1898, which selected and trained nurses for army and navy service. Appointed on August 29, 1898 acting Assistant Surgeon, United States Army, being the only woman to hold such a position. Assigned to duty in the Army Surgeon General's Department as Superintendent of the Army Nurse Corps, which she organized. In 1904, acting as President of the Society of Spanish-American War Nurses, she took a party of nurses to Japan for six months during the Russo-Japanese War. Her father instilled in her at a young age a love for science. She later became a lecturer at the University of California and dedicated much of her time to writing and lecturing across the country. She died on October 5, 1940 and was buried in her father's plot in Section 1 of Arlington National Cemetery.